Hey everyone! If you’ve ever emailed us with questions about building your chicken coop from the plans you purchased from us or general poultry raising questions you know we’re always happy to help. I think that’s an interesting observation she’s made. I can certainly imagine this (although I may have some nightmares from it). “Yippee!!! So geeked right now, my family ran a dairy farm and when I was younger we used to supply the island with eggs. Government took back the land and there’s only one on island chicken farmer now… but it’s a new start!” We’re really hoping she’ll share more with us on how that goes. 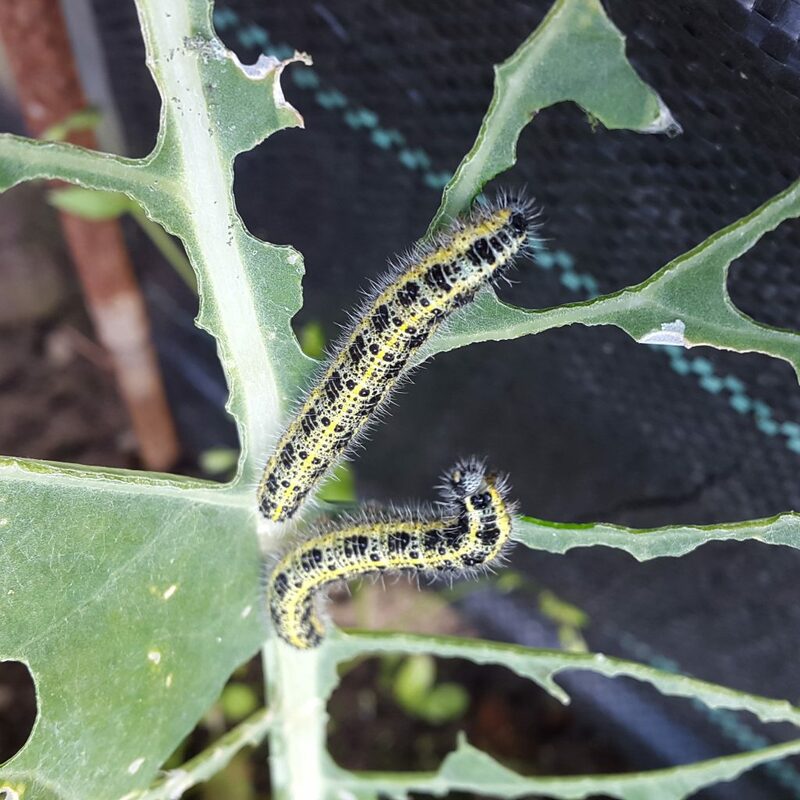 Closer to home, and dealing with another pest issue (smaller than Emmie’s snakes), Dawn wrote and asked “I want to know if my hens can eat these caterpillars which are all over my cauliflower plants, I don’t want to give them as food if they may harm them but if I can would be a great source of food, hope you can help”. Our reply: Those are the caterpillars of the cabbage butterfly and they can be very destructive. Let the chickens eat as many as possible and good luck! 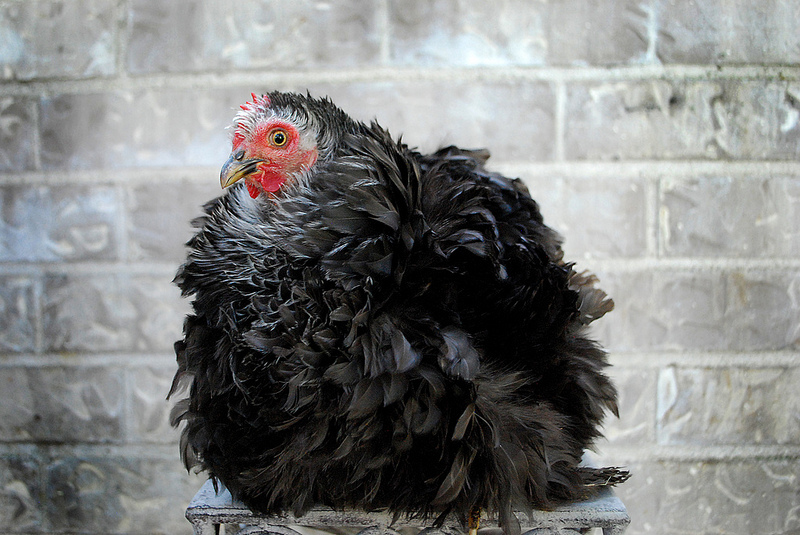 “It’s pretty interesting – on the Frizzles, their feathers curl forward instead of laying flat so they look curled! But their feathers don’t keep them as warm as other breeds. People say they’re a good choice if you are concerned about your birds flying over fences, since their feathers make flying difficult. Because they can’t fly though, it may be hard for them to roost. They have feathered legs and don’t lay a lot of eggs (only about 3 per week) but they make good mothers. Being banties, they’re going to stay small (males will weigh 30 oz and the females 26 ounces). 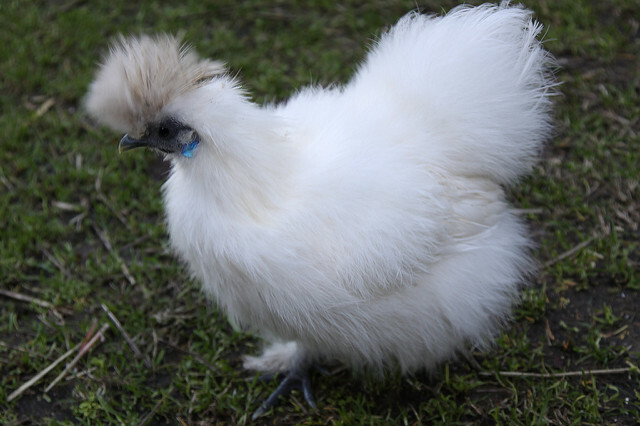 According to the My Pet Chicken website, “Like Silkies, Frizzles are favorites of children and all others who are young at heart.”. We replied, “If the weather’s been over 100 degrees that would affect their laying. When it gets that hot, they’re gonna slow down. 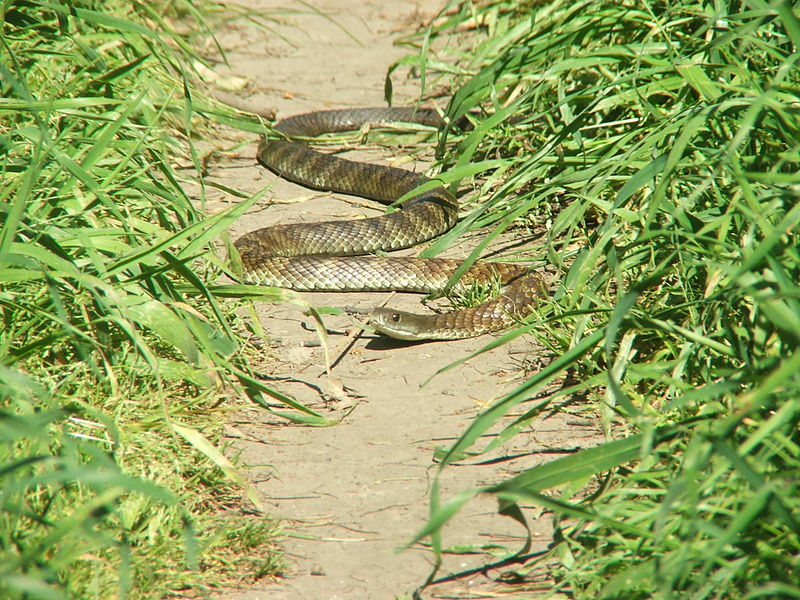 You could try giving them some cold pieces of melon (or even overgrown squashes) to peck at and see if that helps a bit. Do anything you can to cool down the coop. The breed you have will determine the size of the egg. As far as flying over the fence, that also depends on the breed. Plenty of mine wouldn’t even think of it (for a 3 foot garden fence) but my Dominiques and Rhode Island Reds sure would, if there was enough to tempt them”. The most heartbreaking thing was not being able to help her or Squeeky, who died a few days later. If there’s anyone out there with experience with ducks who’s gone through something similar and can offer advice, please let us know. Meanwhile, we empathized with their family and their loss. 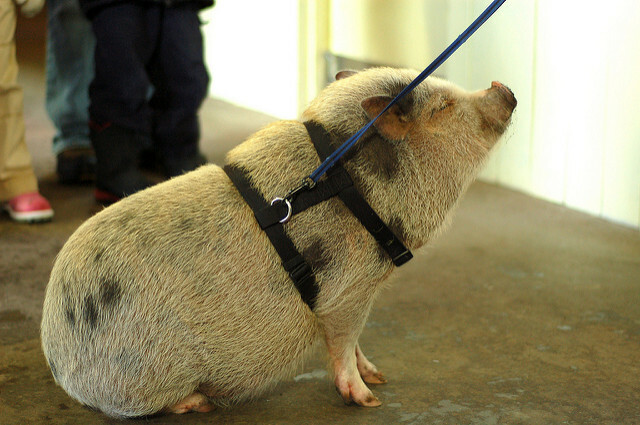 One Heart Wild is a nonprofit sanctuary in Washington that rescues hens and horses. They used our coop plans (The Mul-T Coop) to build a coop to house up to 20 hens and allow their clients (at risk kids) to visit with them, bringing healing and teaching empathy. According to Drea Bowen, the director, “the chickens are a huge hit with everyone”. And we hope you all do too! Email us with your news, updates and questions – as you can tell, we enjoy hearing from everyone!